Cool as a cucumber...kuke by Katy Abbot is the selected tangle for The Diva's challenge this week. Katy's inspiration actually was from a cucumber slice. Kuke is fresh, delicate, smooth and yummy!! It became a favourite right from the start so I will use it many times, I enjoy the way it fits into irregular spaces and can sit on it's own too. Thanks Katy and Laura. Michele, this is a beautiful tile! Lovely. I especially like the middle design, altho I also like the way you turned the ones on the edge into sorta kinda squares. Great job. You did a great job with this.Look at the kuke in the squares so much possibility. 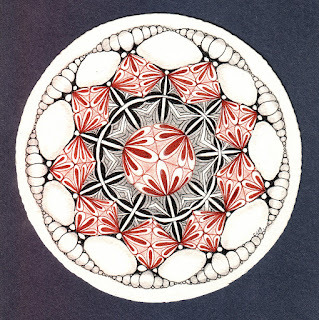 I love this (almost) monotangle zendala. This is so Kuke!!! Brilliant tile. Love this Shelly, gorgeous combination and very elegant. A feast for the eyeballs! 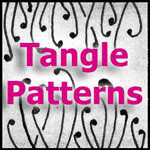 Love how you used this tangle! The touch of red really makes your zendala pop! Oh, you have added a new dimension to Kuke. Nice! Great choice of patterns and I love the cubist version of kuke! Gorgeous zendala Shelly! Looks like a beautiful kaleidoscope image! Beautiful Shelly! I love that you used sepia on Kuke which really makes it stand out. Gorgeous as usual. Really peaceful, I could lose myself in this! Great Zendala. 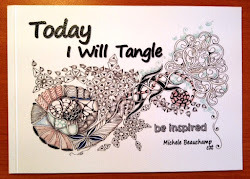 Love your Kuke circle and how you used this tangle. Like the contrast with the bi-color. 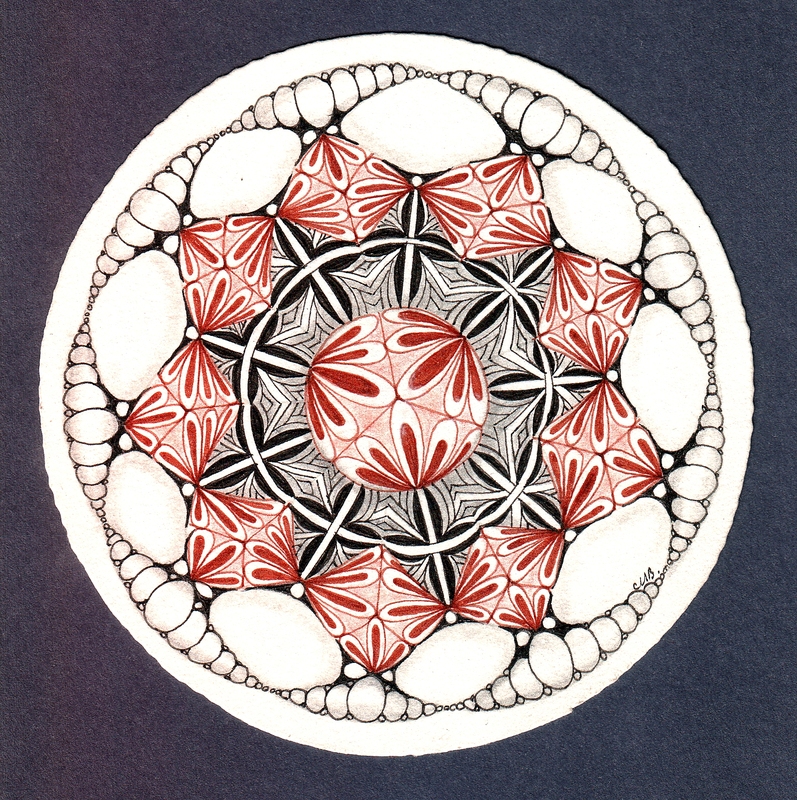 As always, great mandala you made out of kuke. The color red is great in this one, and your balance in the tile is outstanding. Looks like a little universe. Great. Beautiful Shelly. I never pictured Kuke in a mandala, and you've shown me how to use it in squares. Bonus! As always, your tile is just gorgeous! So graceful and rhythmic.